Unredacted, the blog of the National Security Archive, has a nice find this week - a 1994 reporting cable from U.S. Consulate General Peshawar, Pakistan, on the origin and formation of the Taliban. Today’s document is one from our growing Afghanistan collection and is an example of what happens to the “raw” wikileaks field reports after they are “digested” and melded into more comprehensive (and we hope) accurate reports. This 1994 cable is entitled “New Fighting and New Forces in Kandahar.” The “New Forces” are the Taliban. It’s a gripping read. The cable reports that the Taliban, described as a “new phenomenon” which was “largely drawn from religious students that did not fight in the Jihad,” had captured the key border town of Spin Boldak and gained control of the highway to Kandahar, Afghanistan’s second most populous city. It also tried to explain the Taliban’s origins, motivations, and backers. The Taliban, according to the author, was a “new phenomenon” in the Afghan calculation. Moreover, this “new phenomenon” was a formidable fighting force. After taking over the important border crossing at Spin Boldak (likely with the help of Pakistani mortar fire), the Taliban quickly “cleaned up” the strategically-critical Kandahar-Herat highway. And “cleaned up” meant summarily hanged persons operating “independent toll [bribery] stations.” Just a month after taking their first town, the Taliban was poised to capture Khandahar. And who was funding this formidable force? Probably Pakistan. According to “some sources,” the Government of Pakistan provided the Taliban with weapons so new that “they were still in their grease.” It’s also likely that the Pakistani army provided rocket fire while the Taliban captured Spin Boldak. The Taliban, for its part, claimed it was acting independently. Other documents [here] confirm that the ISI was essential to the Taliban’s rise. The U.S. State Department might owe someone up to $5 million, which is the reward it offered for the Mexican bandito Ignacio Coronel-Villareal, also known as "Nacho Coronel," and sometimes called "the King of Crystal" because he ruled methamphetamine trafficking from Mexico to the United States. Mexican troops have killed a top drug kingpin known as the "King of Crystal," in a shootout as he tried to escape from a wealthy suburban hideout. His death is a rare victory for President Felipe Calderon's struggling war on drug cartels and organized crime. Meanwhile, dozens of police officers in the Mexican border city of Tijuana have been arrested in an anti-corruption sweep, and 15 bodies with marks of torture were discovered just over the border from Brownsville, Texas. The U.S. Consulate in Ciudad Juarez, where drug hit men were blamed for killing three people connected to the consulate in March, abruptly closed today [TSB note: that's now yesterday, July 30] for security reasons. It's unclear whether any of the developments are related. In my opinion, it is entirely possible that some of those developments might indeed have been related. p.s. - I might have accidentally deleted a comment I received last night concerning the late Nacho Coronel. At least, I can't find that comment posted today. My apologies. The U.S. Consulate General in Ciudad Juarez is closed on July 30, 2010 to review its security posture. American citizens are advised [to] avoid the area around the Consulate General until it reopens. Authorities are investigating the situation. According to The Cable, Jack Lew answers to a higher authority. Jack Lew, the deputy secretary of state who is President Obama's nominee to head the White House Office of Management and Budget, is coming under fire today because of a $944,578 bonus he took from Citigroup just before he joined the administration last year. But those who know him in the State Department defended him Thursday as a man who is above reproach and argued that his actions were completely on the level. Citigroup paid the hefty bonus to Lew about two weeks before he joined the State Department as deputy secretary of state, the Washington Times reported. Lew had already disclosed a $1.1 million compensation package covering his Citigroup work in 2007, but the amount of the newly disclosed bonus, which covers his work for the banking conglomerate in 2008, wasn't known until today. In answers submitted to the [Senate Foreign Relations] Committee and in his 2009 ethics filing, Lew said that the bonus was coming, he just didn't know the amount at that time, the official said. According to today's Washington Times story, records disclosed yesterday by the State Department show that Mr. Lew received the $944,578 bonus four days after he filed his 2008 ethics disclosure. Evidently, Mister Above Reproach did not see any reason to file an amended disclosure statement back in 2008, or to fill in the Senate Foreign Relations Committee on the size of Citigroup's payout to him one day sooner than he had to. Modesty must be among his many virtues. It's a good thing this is 'On the Level' Lew we're talking about, otherwise people might put an ugly interpretation on his unhurried disclosure. I'm sure he's a busy man. 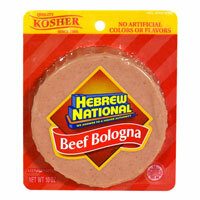 Moreover, those who know Lew, an observant Orthodox Jew, say he's even more kosher in his professional dealings than he is when separating milk and meat at dinner time. "If this city and government were filled with Jack Lews, we wouldn't need ethics rules," the official said, "because, like Hebrew National, Jack holds himself accountable to a higher authority." A higher authority? You mean like Citigroup? H/T to Secrecy News. It appears the U.S. Senate might have a leaker in it's ranks. At least, it's cooperating with an investigation. I was at a staff meeting this morning when a colleague remarked that today is the 221st anniversary of the founding of the U.S. State Department. Under the Article II of the Constitution of the United States ratified in 1789, the President has the power to make treaties--as long two-thirds of the Senate concurs--and to nominate ambassadors, public ministers, and consuls with the advice and consent of the Senate. These provisions placed the conduct of foreign affairs principally in the hands of the executive branch, but certain powers conferred upon the legislative branch--to declare war, appropriate funds, and advise and consent on treaties and appointments--gives the Congress significant ability to influence foreign policy. On May 19, 1789, then-Representative James Madison of New York introduced a bill to create an executive Department of Foreign Affairs headed by a Secretary of Foreign Affairs. On July 27, 1789, President Washington signed legislation to that effect. Congress passed another law giving certain additional domestic responsibilities to the new Department and changing its name to the Department of State and the name of head of the department to the Secretary of State. Washington approved this act on September 15, 1789. The domestic duties assigned to the Department of State were receipt, publication, distribution, and preservation of laws of the United States; custody of the Great Seal of the United States; authentication of copies and preparation of commissions of executive branch appointments; and, finally, custody of the books, papers, and records of the Continental Congress, including the Constitution itself and the Declaration of Independence. Funny that no one makes a fuss about the date, or even observes it. I saw no Department Notice, no DipNote post, nothing except a lousy tweet, and not even an official tweet! Remember the ten Russian intelligence agents the United States deported a couple weeks ago? Now we know what happened to them after they arrived back home. Russian Prime Minister Vladimir Putin said he had met with Russian spies deported from the United States following Russia-U.S. spy scandal and sang patriotic songs with them. "I met with them," Putin said, answering the journalists' questions whether he met with 10 Russian spies deported from the United States after Russian-U.S. spy scandal. Ten people were arrested by U.S. law enforcement on June 29 on suspicion of being part of an espionage ring. After the spy swap deal they were deported from the United States. Putin, as a former KGB officer, said he had talked for life with the spies. The premier said they sang songs accompanied by the live music. Among the others, they sang a famous patriotic Russian song "What Motherland starts from". Commenting on the spies' future, Putin said "they will work". "I am sure they will work in the decent places, I am sure they will have interesting and bright life," Putin said. Of course, I had to find out about that song. 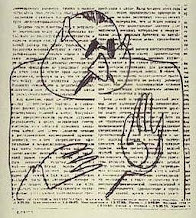 You can download it here, at a site that describes it as a song about a homesick Soviet secret agent in Germany during World War II. We have no one to take away. By bending the wind is rising. Makes no end in sight. Do it in your heart brought. I have a tear in my eye right now, and I'm wondering whether I have any vodka in the house. We're Still Using Fax Machines? It seems that 21st Century Statecraft and techy-geeky communications have not yet arrived for mundane statecraft matters like consular notifications. At least, not unless you consider the fax machine a 21st century tool. Fun fact: the fax machine predates the telephone. The first patent for a fax machine was awarded in 1843, and the first commercial fax service was established between Paris and Lyon on 1860. Alexander Graham Bell didn't invent the telephone until 1876. (CNN) -- Russian officials did not receive immediate consular access to a Russian citizen now in American custody because U.S. officials notified the wrong embassy, a State Department spokesman said Thursday. K.V. Yaroshenko is one of five defendants arrested in late May in Liberia under a Drug Enforcement Administration operation designed in part to stem the shipment of cocaine from West Africa, according to a Justice Department news release. Justice officials have described Yaroshenko, 41, as an "aircraft pilot and aviation transport expert who transported thousand-kilogram quantities of cocaine throughout South America, Africa, and Europe." He is currently in a New York prison. "We tried to do everything we were supposed to do," a senior administration official said. "They just pressed the wrong button on the fax machine and sent it to different embassy. ... They aimed for the Russia button. They hit a different button." There was a "process failure," the official said. State Department spokesman P.J. Crowley said the U.S. government has apologized to Moscow. "Normally, we try to arrange these consular notifications within 72 hours," he said. "We didn't discover our error until it was after that period of time." Russian officials have argued that Yaroshenko's apprehension and incarceration "directly violate norms of international law." "We are talking about kidnapping [TSB note: otherwise known as the "arrest"] of a Russian citizen on the territory of a third country," a Russian Foreign Ministry statement said this week. "The actions of the U.S. special services at forcibly and secretly transferring [TSB Note: otherwise known as "extradition"] of our citizen from Monrovia to New York can be qualified as outright lawlessness" [TSB Note: otherwise known as "law enforcement"]. The Russian statement said that Moscow is "closely watching developments in this case, as well as whether [Yaroshenko's] human rights are observed during the investigation conducted by the American authorities." It noted that Yaroshenko's relatives had "found him an experienced local Russian-speaking lawyer who specializes in criminal cases." Russian authorities have reached out to their American counterparts on three occasions -- both in writing and in person -- seeking information about the case and criticizing American actions, according to the statement. During a July 8 meeting between Sergey Kislyak, Russia's ambassador to the United States, and U.S. Undersecretary of State William Burns, "it was emphasized that [the] procedural rights of our citizen should be strictly observed," the statement said. "It was also pointed out that while the U.S. State Department in its reports is teaching the entire world how it should observe human rights, the American special services abroad are getting themselves involved in actual abductions of people." Yaroshenko, along with the four other defendants, has been charged with one count of conspiracy to distribute and possess cocaine, knowing that it will be imported into the United States, according to the Justice Department. The offense carries a maximum sentence of life imprisonment. Two Skeptics Ask: Is Twitter a Tool of Statecraft, Or Just An Entertaining Outlet? First, The Economist's technology columnist is suspicious of the phrase “21st-century statecraft” as it is used by people like Alex Ross and Jared Cohen. See the recent New York Times Magazine article (here) for Ross and Cohen's rosy interpretation. I can't define it, even though I've listened to Alec Ross speak about it twice. (Mr Ross is the senior advisor for innovation at America's Department of State.) Is it a new kind of state-run broadcaster, a digital Radio Free Europe? Is it a new kind of public diplomacy? Is it a new kind of foreign aid, a digital USAID? Is it a quicker, less centralised way of determining America's public response to an international event? Does it signal a focus on the role the internet plays in human rights and international trade? I've now encountered it for a third time, in a profile of Mr Ross and a colleague, Jared Cohen, in the New York Times Magazine. And I've decided that “21st-century statecraft” is just a grab-bag; it means all of those things. Some of them are good ideas. Some of them are not. And all they have in common is that the internet exists. Over the last twenty years, industry by industry, young men and women have made a living by saying “You don't get it, old man, this is the internet. Everything's different now.” I don't blame Mr Ross for wanting this gig; it's a good one. (It was mine, once.) The problem with “you don't get it, old man” is that it fails to distinguish what about the new is good, and what is bad, and it often fails to recognise that much of what you can do on the internet is not new at all. Or take another idea: digital public diplomacy. Mr Ross has been working with Farah Pandith, America’s new special representative to Muslim communities. He wants to help amplify her physical presence with an online one, telling her “There should be a trail of Muslim engagement behind you.” But there doesn’t seem to be much of a difference between what Ms Pandith is expected to do and what Karen Hughes did as the ambassador for public diplomacy during the second Bush administration. Ms Pandith, who was born in Kashmir, might be easier for Muslims to relate to than Ms Hughes, but both set out to solve the same problem: The world just doesn’t seem to understand how great America is. This is the central problem of public diplomacy, which is expected to fill in the gaps between America’s policies and its self-image. I’m not sure how Twitter is going to help. Secretary of State Hilary Clinton has repeatedly stressed Washington’s commitment to such programs as part of President Barrack Obama’s call for greater engagement between the United States and Islamic societies. Millions of young people communicate with each other digitally, express their views and identities, and sometimes mobilize for causes as disparate as promoting a new movie, arranging a dance party, sharing photos or bemoaning a tired old dictator. In some countries like Iran and Egypt, we are told, tens of thousands of bloggers are at work expressing their independent views and challenging the established order. But what do young people actually do, or aim to achieve, with the new media? Are the new digital and social media a credible tool for challenging established political orders and bringing about political change in our region? My impression is that these new media today play a role identical to that played by Al Jazeera satellite television when it first appeared in the mid-1990s — they provide important new means by which ordinary citizens can both receive information and express their views, regardless of government controls on both, but in terms of their impact they seem more like a stress reliever than a mechanism for political change. Watching Arab pundits criticize Arab governments, Israel or the United States — common fare on Arab satellite television — is great vicarious satisfaction for ordinary men and women who live in political cultures that deny them serious opportunities for free speech. Blogging, reading politically racy Web sites, or passing around provocative text messages by cellphone is equally satisfying for many youth. Such activities, though, essentially shift the individual from the realm of participant to the realm of spectator, and transform what would otherwise be an act of political activism — mobilizing, demonstrating or voting — into an act of passive, harmless personal entertainment. We must face the fact that all the new media and hundreds of thousands of young bloggers from Morocco to Iran have not triggered a single significant or lasting change in Arab or Iranian political culture. Not a single one. Zero. This is partly because the modern Middle Eastern security state is firmly in control of the key levers of power — guns and money, mainly — and has learned to live with the digital open flow of information, as long as this does not translate into actual political action that seeks to change policies or ruling elites. How should interested foreign parties engage in such an environment? The antidote is simple, but humbling: lower the contradictions in Western policies towards Middle Eastern governments and activists, and grasp more accurately the fact that young people use the digital media mainly for entertainment and vicarious, escapist self-expression. For their part, Ross, Cohen, and their Girl Geek colleague Katie, show no signs of doubt whatsoever. A whopping 98 percent of Pakistani college student visa-seekers submit at least one fake document in their misguided attempts to scam U.S. consuls. This interesting fact of the day is actually from last week (since I am still catching up on my reading after spending most of last week trying keep my head above water during a workshop about embassy architecture and space planning), and it comes to us from U.S. Consul General Carmella Conroy in Lahore, Pakistan. Ms. Conroy offered Pakistani students at Government College University some good advice - cut out the fraudulent documents. They aren't helping you. She went on to note the steps the U.S. has taken to promote education in Pakistan, and the assistance it is offering to exchange students and others, which includes inviting hundreds of Pakistani students to attend U.S. colleges and universities under the Near East and South Asia Undergraduate Program (here). The lesson for Pakistani student visa applicants is clear: we are trying to work with you, so cooperate and stop fighting us. I'm doing a domestic business trip this week, and I can't get myself out of the habit of checking my pockets for my passport. Not that I'm in a particularly foreign-seeming city, it's just that my TDYs are all foreign travel except for maybe one a year, and it seems so strange to travel and not go through customs and passport control. Worst of all, there was no expediter at the airport and no white Suburban to pick me up outside my hotel each morning. I have to get my own rides here? What's up with that? I'm here tagging along with some OBO design professionals to meet with a firm of architects for an intense workshop on an overseas embassy building matter. By which I mean, the architects do the intense work while I sip coffee and occasionally make a comment. In architect-talk, this is called having a charrette. A few years ago, during the reign of General Williams, my OBO colleagues would have been prohibited from using the word "charrette," which was banned by Williams after he was embarrassed when someone corrected his mispronunciation. He had a problem pronouncing foreign words, and he handled that by banning them from his presence rather than learning how to pronounce them correctly. Foreign place names also gave him fits, but there was no way to ban those from use within OBO. The O does stand for Overseas, after all. Williams just had to suffer through and try to avoid the need to pronounce the difficult ones. But I think that made him even more determined to stamp out the elective use of a foreign word where a domestic one would do. I make a point of saying "charrette" at every opportunity when working with OBO, just for the pleasure of exercising my freedom of speech. When I saw the headline of today's WaPo story about Harvard revoking a degree it had awarded to a man who turned out to be a Russian spy, I immediately thought of Alger Hiss, who graduated from Harvard Law School in 1929. Did Harvard revoke his degree after the Venona decrypts were made public? Harvard University has revoked a degree in public administration it gave to a man who turned out to be a Russian spy living in Massachusetts under a stolen Canadian identity. Andrey Bezrukov, who went by the name of Donald Heathfield while in the U.S., was one of 10 Russian agents arrested June 27 and deported as part of a spy swap with Moscow. Harvard spokesman Doug Gavel said Friday the John F. Kennedy School of Government stripped Bezrukov of the master's degree for violating its policy on misrepresentation in his application. Too bad for Andrey Bezrukov. No football weekend alumni tailgate parties for him! p.s. - Regarding the Venona project, there is a piece of historical trivia that I thought everyone who has ever gone to the National Foreign Affairs Training Center, located at what was formerly the U.S. Army installation known as Arlington Hall, already knew, but which I have learned many of them do not know. The original building on the NFATC campus, now called the Old Main Building, was where the U.S. Army Signals Intelligence Service broke German and Japanese military codes during World War II, and decrypted Soviet intelligence messages in the 1940s and 1950s. See the chapter on Arlington Hall in this guide to Washington area military intelligence history, From Coeds to Codewords. The next time you walk around the NFATC campus, give a thought to the generations of linguists and cryptanalysts (like this guy) who worked there in anonymity for 47 years providing a vital national security service. These charts on US air strikes in Pakistan, courtesy of The Long War Journal, really show you where the action is happening in our remote-control air campaign against al Qaeda and the several Taliban factions in Pakistan. Of the 144 strikes conducted since 2004, 62% have hit targets in North Waziristan, and 32% have hit targets in South Waziristan. The rest of Pakistan is almost entirely uninvolved. We should just call it the Waziristan War. (In case you were looking for the song by Blue Oyster Cult, click here to download the MP3 free from MediaFire.com. But at least he gets to serve his life sentence in the U.S., near his wife and children, with air conditioning and internet access, and all the prison geriatric care he needs. It could be worse. What if Castro had wanted to trade one of his prisoners for Myers? Then the poor old guy would have to spend his golden years in Cuba, where American ex-spies have been known to die from botched surgery. A retired State Department intelligence analyst was sentenced to life in prison and his wife got more than six years on Friday for spying for Cuba for nearly 30 years in a screenplay-ready tale of romance and espionage. Walter Kendall Myers, 73, and Gwendolyn Steingraber Myers, 72, agreed to forfeit $1.7 million in cash and property, including all of Kendall Myers's federal salary over the years. He did not have to give up 38-foot sailboat he once said they might use in retirement to sail to the communist country. "If someone despises the American government to the extent that appears to be the case, you can pack your bags and leave," U.S. District Judge Reggie B. Walton said, "and it doesn't seem to me you continue to bear the benefits this country manages to provide and seek to undermine it." It was a grim ending to the Myerses' idealistic embrace of the Cuban revolution, with one slight comfort. Handing down punishment for Walter Myers's guilty plea in November to conspiracy to commit espionage and two counts of wire fraud, Walton endorsed the couple's request to be incarcerated near each other with easier access to their siblings, children and grandchildren. The judge's sentence for Gwen Myers fell halfway between the 72 months to 90 months she had agreed to in her deal with prosecutors, for gathering and transmitting national defense information. Her lawyers cited her age, failing health -- including a heart attack since her June 2009 arrest -- and secondary role in the scheme. The couple, wearing blue jumpsuits over long-sleeved white shirts, held hands while the sentence was read. "We did not act out of anger toward the United States or from any thought of anti-Americanism," Myers said in at 10-minute statement in seeking leniency for his wife. "We did not intend to hurt any individual American. Our only objective was to help the Cuban people defend their revolution. We only hoped to forestall conflict" between the countries. The sentencing continues Washington's summer of serial spy intrigues. Barely a week after the United States and Russia completed the exchange of 14 agents allegedly planted in each other's country in a diplomatic maneuver reminiscent of the Cold War, the Washington couple's sentencing cast a reminder of unresolved tensions across the 90-mile-wide Straits of Florida. Myers, an Ivy League-educated Europe specialist who made his home in Northwest Washington's diplomat-friendly precincts, began working for the State Department as a contract instructor in 1977 before joining full time in 1985 and becoming a senior analyst with a top-secret clearance in the department's sensitive bureau of intelligence and research. 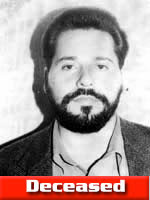 Starting in 1978, however, the recently divorced Myers visited Cuba for two weeks and was soon recruited by a Cuban intelligence agent. When Myers spent a two-year-long sabbatical in South Dakota, where he was living with then-Gwendolyn Trebilcock, a former aide to senator James Abourezk, the agent met Myers again, an he agreed to become a spy. Over the next three decades, the couple would communicate with their Cuban handlers via shortwave radio, exchanging shopping carts in a grocery store and sending encrypted e-mails from Internet cafes. Traveling overseas, they met clandestine Cuban operatives in Brazil, Ecuador, Jamaica, Italy and Cuba via Mexico. Myers, code-named "202," and his wife -- "123" -- never accepted money but would pass along secret information that he later said earned him several medals and a trip to meet Fidel Castro himself in 1995. "Everything I hear about Fidel suggests that he is a brilliant and charismatic leader," Myers wrote in his journal in his 1978 Cuba visit, where he also rued the "systematic and regular murdering of revolutionary leaders" by the United States. His enthusiasm seemed undimmed 31 years later, when he confided to an FBI agent posing a Cuban contact, "Fidel is wonderful, just wonderful." Tipped off to the presence of a Cuban spy in 2006, U.S. investigators by April 2009 tracked down Myers outside Johns Hopkins University's School of Advanced International Studies in Washington, where he was a part-time faculty member. It was Myers's 72nd birthday, and an undercover FBI agent posing as a Cuban intelligence emissary gave him a cigar. The gift led to a string of recorded meetings, revelations and the couple's ultimate confession and sentencing Friday, which happened to fall on Gwen Myers's 72nd birthday. The State Department and intelligence community officials have not publicly assessed the damage done by Myers to the U.S. government, but experts said he would have had years of access to intelligence reports from the U.S. and its allies, as well as to databases with information from the CIA, the National Security Agency, the military and U.S. embassies. In the last 15 months before his retirement in 2007, Myers amassed more than 200 sensitive or classified intelligence reports in his computer. After the couple's arrest, Castro was quoted in a Cuban media report stating his admiration for "their disinterested and courageous conduct." The FBI said that although Myers generally was cooperative in more than 100 debriefing sessions, he at times gave inconsistent answers or withheld information, adding that the "limited value of defendants' cooperation" did not warrant lighter sentencing of Gwen Myers. "For nearly 30 years, Kendall and Gwendolyn Myers committed one of the worst crimes a citizen can perpetrate against his or her own country -- espionage on behalf of a long-standing foreign adversary," Ronald C. Machen Jr., U.S. attorney for the District, said in a brief urging the judge against leniency. The Myerses felt no remorse, motivated by communist sympathies and a "rose-colored picture" of Cuba, Machen said. "Kendall Myers was born into this world with every conceivable advantage," Machen wrote, describing the son of a heart surgeon, grandson of the National Geographic Society's head and great-grandson of inventor Alexander Graham Bell as a child of privilege. Machen added, "Kendall Myers could have been anything he wanted to be. He chose to be a Cuban spy." In their behalf, the Myers presented statements from relatives, colleagues and friends describing them as kind and deeply idealistic. Myers's offense, his lawyers wrote, "was born not of hatred, greed, vengeance or desire for power, but of compassion for a struggling people desperately seeking to throw off the legacy of a brutal and corrupt dictatorship and chart an independent path to social justice." His lawyers asked that Myers be allowed to teach inmates and continue his writings, including a biography of former British prime minister Neville Chamberlain. Whether misunderstood or misguided, Myers told the undercover FBI agent in 2009 that the couple missed their spying days. "You, speaking collectively, have been a really important part of our lives, and we have felt incomplete," Myers said, according to the government. "I mean, we really love your country." The U.S. Embassy in Islamabad might want to hang a "No Vacancy" sign at the front door every so often, according to auditors. As if the tight space and small staff wasn't bad enough, embassy workers are devoting a significant portion of their time to the hundreds of lawmakers and senior administration officials who visit each year, the State Department Inspector General said in a new report. Dignitaries made almost 700 visits in fiscal year 2009, requiring the embassy to hold hundreds of planning meetings and make use of more than 300 vehicles. It also had to provide drivers, note takers and beds for all of the visitors. The visits put a special strain on the embassy's reporting and public diplomacy officers, who have to devote time to the visits despite "Washington’s voracious reporting and outreach requirements," the report said. The influx led embassy officials to clamp down on visits by administration officials in December, but it still permits Congressional delegations in order to maintain support for ongoing operations, auditors found. Only arguably the most dangerous diplomatic post in the world? There is no argument about it, at least, I've never heard anyone argue that it isn't. Peshawar displaced Karachi from the #1 spot a couple years ago. A Mexican narco group employed a carbomb - pardon me, I mean a vehicle-borne improvised explosive device, or VBIED, to use the clumsy phrase that all the experts prefer - in a complex attack on police in Ciudad Juárez last night. It wasn't much of a bomb, at least not by Middle Eastern standards, but it was a very big escalation in the war the narco groups are conducting against state authorities in Mexico. The use of explosives, and, even more ominously, the use of guerrilla warfare tactics (shooting a police officer in order to draw in response forces who were then attacked with the VBIED), marks a further militarization of the conflict. At some point, a crime wave is no longer merely crime but war, and our neighbor to the south has passed that point. An explosive blasted Mexican federal police and rescuers when it detonated as they went to the aid of a wounded police officer in Juárez on Thursday night. Authorities said it had not been determined if the blast was caused by a grenade or a car bomb, but the attack appeared to follow the tactics of terrorists in the Middle East. Late Thursday night, federal police said a federal police officer, a municipal police officer and a rescue worker were killed. The attack occurred about 8 p.m. near the intersection of Bolivia and 16 de Septiembre streets in downtown Juárez. First, a municipal police officer was shot and killed, and when federal police arrived to the scene there was an explosion, an official said, citing initial information. Seven to 10 people were injured, including a cameraman for Channel 5. Footage from Channel 26-KINT (cable Channel 2) showed a street covered in debris. Something appeared to be in flames. A uniformed police officer lay dead and a man sat on the street bleeding heavily and holding his head. 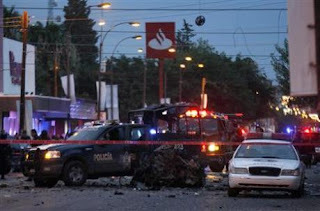 Late Thursday night, police said the blast was in retaliation for the arrest of a cartel leader. Graffiti later appeared on a wall stating, "What happend on 16 (de Septiembre avenue) will keep happening to all the authorities who keep supporting El Chapo. Sincerely - the Juarez cartel. We still have car bombs." The use of explosives, including the possibility of a car bomb, would be an escalation in a drug war that has bloodied Juárez for more than two years. The use of car bombs by narco-traffickers is not unprecedented since they had been used in Colombia by drug cartels in that nation. Federal police earlier this year replaced Mexican army soldiers patrolling the city. Patrols are regularly done in groups of at least two vehicles, with several officers in each armed with assault rifles. There were eight homicides Wednesday in Juárez. More than 1,500 people have been slain in Juárez this year, and more than 5,700 people have died since 2008. The Sinaloa and Juárez drug cartels have been fighting over lucrative smuggling corridors into the United States. It is not uncommon for drug traffickers to target police claiming they are working for rival groups. Those numbers are staggering. More than 1,500 people killed in Ciudad Juárez this year?? Are there any cities in Afghanistan that have had that many killed this year? Or in the past ten years? I think not. The only silver lining in this cloud is the small and primitive nature of the VBIED. In the post-blast videos I've seen there was almost no damage done to the structures surrounding the site of the bomb, even though some of them were only a few feet away. Here's a tip: you can get a sense of the size and efficiency of a bomb blast by looking at the damage it did to surrounding objects, and in particular, from the transition zones where one type of damage ends and a lesser type begins. For example, if you see windows shattered and blown out of their frames for 100 feet in all directions around the site of the blast, but windows more than 100 feet away are only cracked and retained in the frames, then there was a transition zone at 100 feet that can be a useful clue to assessing the size of the blast. In this case, the blast appears to have been puny. There is no structural damage evident in the masonry buildings a few feet away from the blast, metal shutters on stores are intact, no street signs are blown away or even bent, windows are shattered but I see one part of a storefront glazing still hanging on to its frame. Bits of the vehicle that carried the bomb are scattered around the street and those were no doubt dangerous shrapnel, however, I saw no indication of fragmentation added to enhance the anti-personnel effect of the bomb, such as nails or ball bearings embedded in the walls of surrounding buildings. I would guess that this means the narcos lack the expertise with explosives that has been acquired by more established Mexican insurgent groups such as the Popular Revolutionary Army (see this) and so they face a long learning curve before their VBIEDs can become a major threat. The blast tore through an intersection in Ciudad Juarez across the border from El Paso, Texas, late on Thursday in what the security ministry said was retaliation for the arrest of a drug cartel boss. "There were 10 kilos (22-pounds) of explosives, activated from a distance by a cell phone," Enrique Torres, spokesman for the army in Ciudad Juarez, told Reuters. The cell phone makes sense, since there is no indication of a suicide bomber, but I don't believe the estimated size of the bomb. Check out the photo below. Those overhead street lights would not still be intact and working after a 22-pound bomb blast from below. "Now, Let's Get It On!" The State Department just sent out a press release about DS's "Operation Death Match". I hope whoever came up with that name was thinking of my guilty pleasure, the old MTV show Celebrity Deathmatch. 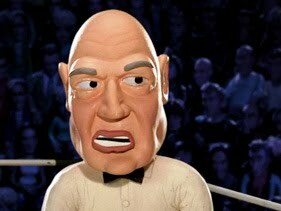 Its referee, the claymation Judge Mills Lane, had a highly practical sense of law and order. His usual ruling was "I'll allow it." Federal authorities arrested British citizen John Skelton at Baltimore-Washington International Thurgood Marshall Airport on Monday night on charges of identity fraud, false statements, and being an impostor to a U.S. citizen. U.S. Department of State’s Diplomatic Security Service (DSS) investigators discovered that Skelton, 41, of Yorkshire, England, allegedly stole the identity of U.S. citizen Kurt Branham, who died in 1994. DSS teamed with Customs and Border Protection officers to apprehend Skelton after the Brit presented a fraudulently obtained U.S. passport to re-enter the country after a trip to the United Kingdom. Skelton, who resides in Baltimore, will be prosecuted by the U.S. Attorney’s Office for the District of Maryland. The specific charges Skelton faces are for violations of 18 USC 1028, 18 USC 1542 and 18 USC 911. DSS detected the potential fraud using investigative techniques employed during Operation “Death Match.” A passport had been issued in 2005 in the name of Kurt Branham, who died more than 10 years before, a cross match of records indicated. More than 150 individuals have been charged with federal passport fraud and related offenses as a result of Death Match investigations. CBP, DSS and Immigration and Customs Enforcement officials were at BWI when Skelton disembarked his flight from London at 7:45 p.m. Monday. During questioning, Skelton allegedly admitted he was a United Kingdom citizen and that he obtained Branham’s identity. CBP officers paroled Skelton into the United States for prosecution and turned him over to DSS agents. The U.S. Attorney’s Office will prosecute Skelton. CBP issued a detainer on Skelton to be returned to CBP at the adjudication of his charges. The U.S. Department of State is number 3 on the U.S. Office of Personnel Management's Job Satisfaction Index for 2010, that is. It's also the most improved agency in job approval since 2008. The Nuclear Regulatory Commission is monopolizing the number 1 slot in all four categories of the Human Capital Assessment and Accountability Framework (HCAAF) that OPM uses in its Federal Employee Viewpoint Survey. Smug bastards. I wonder if they're cheating? Several pistols belonging to bodyguards of Israeli Prime Minister Benjamin Netanyahu took an unexplained cross-country U.S. detour this week before four of them went missing altogether, officials said on Wednesday. A U.S. source familiar with the matter told Reuters that two suitcases bearing seven handguns in all -- four in one bag, three in the other -- arrived at John F. Kennedy International Airport in New York with Israel's security detail and were rechecked for a flight to Washington. But neither bag made it there. Instead, both bags were later retrieved at Los Angeles International Airport, then were flown back to Washington through Chicago. When the two suitcases were reopened in Washington, the four guns from one bag were discovered to be missing, but it remained unknown where along the line the firearms were taken, the source said. This embarrassment would never, and I mean never, have happened to The Zohan. Ten individuals pleaded guilty today in Manhattan Federal Court to conspiring to act as unlawful agents within the United States on behalf of the Russian Federation. As part of their plea agreements, those defendants operating in the United States under false identities disclosed their true Russian identities. Each of the defendants also agreed to be immediately expelled from the United States. The United States and the Russian Federation agreed that the United States would transfer these individuals abroad and turn them over to Russian authorities. The Russian Federation, in turn, would release four individuals incarcerated in the Russian Federation. This case is the result of a multi-year investigation conducted by the Department of Justice. The network of unlawful agents operating inside the United States has been dismantled. A determination to seek a rapid and comprehensive solution was made on national security and humanitarian grounds. No significant national security benefit would be gained from the prolonged incarceration in the United States of these ten unlawful agents. The United States took advantage of the opportunity presented to secure the release of four individuals serving lengthy prison terms in Russia, several of whom were in poor health. The U.S. and Russia have agreed to the first swap of accused spies in 24 years, and the exchange will begin to take place by the end of Thursday, according to U.S. officials and lawyers for the suspects. As the U.S. and Russian governments scramble to put together a huge spy swap before the 10 accused Russian spies are arraigned this afternoon, the children in the middle are caught in a very real chess game being played out between the two countries. "That's the most unfortunate aspect of this," said Jeffrey Burds, a professor of Russian history at Northeastern University. "I cannot imagine a scenario in which the children, however smart they were, would have been clued in as to the existence of or the nature of their parents' relations." I'm not so sure the kids are really caught in the middle here, or that any of them will try to stay in the U.S. Let's not overlook that one of the deportees - Anna Chapman (AKA Natasha Fatale) - is a second-generation Russian Intelligence Service officer. As a child, she presumably benefited from her father's overseas assignments to become acculturated to the West, and that no doubt facilitated her assignment as an illegal in New York. I'll go out on a limb and wager that some of the children heading to Mother Russia tonight will be back someday. I don't suppose anyone managed to get their fingerprints or a DNA sample? It's just that simple? Tell people to indefinitely retain evidence of their crimes so that it will be handy in case the feds ever catch up with them? Okay. The case of Bradley Manning, the U.S. Army Private and intel analyst who was arrested last May for downloading classified materials from his work station in Iraq, has now been charged. Read the statement of charges here. Manning reportedly downloaded a great many State Department cables, and he has evidently leaked at least some of them. But exactly how many cables did he steal? The original news reports mentioned 260,000 cables, but the news media is today using the figure of 150,000, as in this New York Times story. The Army charged Manning with improperly downloading "at least 150,000" State cables but, interestingly, it charged him with transmitting only "more than 50" cables to unauthorized persons. So may we assume that he selectively leaked the fifty best of his 150,000-cable haul? Given the mundane nature of nearly all cable traffic, I can believe that only fifty in 150,000, or a ratio 0f 1:3000, were really worth leaking. In a comment I received to a post on the drug-fueled insurgency that is going on in Mexico (here) there was a link to a song I'd never heard before - The Free Mexican Air Force. The commenter rightly pointed out that every war needs a soundtrack. I like the reasoning, especially because the song is from the point of view of the Gringo stoner, who is a necessary but often-overlooked party to the conflict. One nickname for weed is "chronic," and that's how the Mexican drug war is shaping up, as well. Yeah, the Free Mexican Air Force is flyin' tonight! Sayin', "Shoot down all gringos and wetbacks who dare wear sombreros!" Yeah, the Free Mexican Air Force is flying tonight! Well, the borders of evil will fall to the smugglers of light! We're the Free Mexican Air Force and we're flyin' tonight! But no one can stop us! My vision is clearly in sight! And freedom for us is a prison for the rulers of might! Yeah, the Free Texican Air Force is flyin' tonight! Have you been paying attention to the war in Afghanistan? The situation is hopeless. Military forces have been chasing insurgents around the mountains and high deserts for years, but to little effect. The police are outmatched and intimidated, and so corrupt that they would be a net loss even if they were effective. Elected officials are worse than the police. Rival gangs fight each other as well as the state forces. Drugs flow across the border to neighboring states and weapons flow back in. Peasants are caught in the middle and have no hope for a better future. Since December 2006, when the President called the armed forces into the fight against drug trafficking organizations, an estimated 23,000 troops and civilians have been killed, over 5,000 of them so far in 2010. The increasing militarization of the drug war has failed to stem the flow of drugs, despite $1.4 billion spent by the U.S. on training, equipment and intelligence. All of the following incidents occurred there in the last month. -- Gunmen with automatic weapons opened fire on the motorcade of a political candidate as he headed to a campaign event. This incident followed the shooting deaths of a mayoral candidate and of a political activist during a get-out-the-vote effort. Explosives were also thrown at two separate campaign offices. The central government offered to provide candidates for elective office with ballistic-resistant vehicles and bodyguards in the future. -- Between last Thursday night and Friday morning, attacks between rival drug trafficking organizations left 85 people dead in places across the country, making it the bloodiest 24-hour period in the President's term of office. -- In a single incident on Thursday, a showdown between rival drug and migrant-trafficking gangs resulted in a gunfight that left 21 people dead. -- At least two dozen assailants raided a medical clinic in a provincial capitol city, rousting the patients and ordering them to lie face down, then executing 19 people and wounding at least 4 others. The authorities recovered 184 ejected rifle casings. -- The bullet-riddled bodies of 18 men and 2 women were found Friday in five different parts of a major city. Authorities suspect a drug-related motive. -- On June 29, gunmen killed 15 national police officers Monday in separate attacks, marking one of the bloodiest days for security forces since the government stepped up its fight with drug cartels. -- On June 30, a large force of unidentified attackers stopped a police motorcade on a major highway, disarmed the police officers, executed a prisoner the police were transporting, then drove off with all the police weapons and gear they had seized. -- Small arms fire from a gun fight in a border city struck the main government building in a city all the way on the other side of the border. -- A drug trafficking organization has threatened local police officers in a small town, saying they will be targeted for retribution if they conduct drug busts. The police chief told reporters that the threats stemmed from an incident approximately two weeks ago, when off-duty officers surprised marijuana smugglers while riding horseback in an unincorporated border area outside the town. -- The national army reported that nine insurgents and three of its soldiers have been killed in clashes in a remote border area, and that an army patrol in another border area came under fire with three soldiers and eight insurgents killed. -- Police reported that last Sunday gunmen invaded the home of the mayor of a border city located in the no-man's land of the country's violent drug war, and killed him. -- That border city, once a manufacturing center, has become the bloodiest front in the President's war against drug traffickers, with more than 5,500 people killed there since 2008. In 2010, there were 1,300 murders, including some 200 in June. (This is in a city with a population of 1.5 million. For comparison, New York City, with a population of some 8.5 million, had 471 murders in 2009.) The President has staked his political future on reining in the drug killings and has sent 8,000 soldiers and federal police to the area to try to restore order. Despite that security presence, people are abandoning their homes and politicians have been too intimidated to campaign for the upcoming elections. 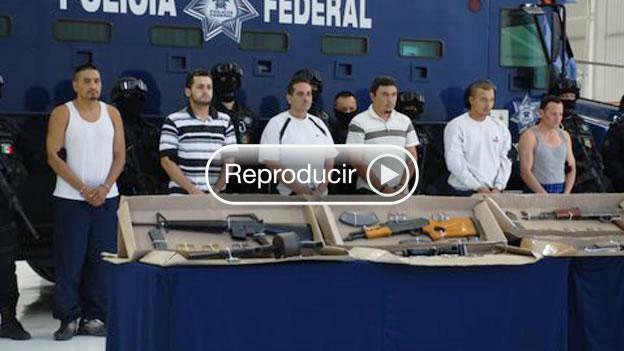 -- Last week, in another border region, eight "narco-camps" were raided by the national army. Over the next few days, twelve men were killed in apparent retaliation in various incidents. Among the dead were six charred bodies and two decapitated bodies of provincial officials. -- According to the Fund for Peace/Foreign Policy Magazine, the country has risen two places (meaning that it has gotten even worse) in the index of failed states. All of that and much more occurred in Afghanistan in just the last month. Where does President Karzai go to surrender? Because it's over. Oops! Did I say Afghanistan? I meant Mexico. All of that happened in Mexico, our neighbor to the south, where American tourists go to play and expats go to retire. Links are here, here, here, here, here, here, here, here, here, here, here, here, and here. CNN Mexico is reporting that Mexican Federal police have made another arrest in the murder of an employee of U.S. Consulate Ciudad Juarez, her husband, and the spouse of another employee, last March. The very brief and sketchy report is here, and you can see more in the CNN Mexico video report (in Spanish) here. Mexican authorities have arrested a drug gang suspect accused of planning the shooting deaths in March of three people connected with the U.S. consulate in Ciudad Juarez and participating in the killings of 13 teens at a party in the city a month earlier, federal police said Friday. Jesus Ernesto Chavez Castillo, known as the Camel, prepared the logistics and secured the weapons used to kill consulate employee Lesley Enriquez and her husband, Arthur Redelfs, said federal police spokesman Ramon Eduardo Pequeno Garcia. Jorge Alberto Salcido Ceniceros, the husband of another consulate employee, was killed in a separate attack that day. The 13 dead people at the January party were mistakenly believed to belong to a rival drug gang, Pequeno said. Update - CBS News is running a story (here) quoting Mexican federal police as to the motive for the murder of Lesley Redelfs. The purported motive makes no sense. Lesley Redelfs was a locally engaged employee and therefore did not issue or approve visas. Moreover, she was, I believe, assigned to the American Citizen Services section of the consulate. That doesn't mean she might not have been solicited by drug cartels. As a dual U.S.-Mexican national, she might, in fact, have been the target of their special interest. But she could not issue anyone visas, so the miscreant now under arrest in Mexico is making up a story. A drug gang leader says he ordered the killing of a U.S. consulate worker because she gave visas to a rival gang in the border city of Ciudad Juarez, Mexico, federal police said Friday. Jesus Ernesto Chavez, whose arrest was announced on Friday, leads a band of hit men for a street gang tied to the Juarez cartel, said Ramon Pequeno, the head of anti-narcotics for the Federal Police. Pequeno said Chavez ordered the March 13 attack that killed U.S. consulate employee Lesley Enriquez and her husband as they drove in the violent border city, and he said Chavez told police that Enriquez was targeted because she gave visas to a rival gang. A U.S. Embassy official said there would no immediate comment on the allegation. Enriquez, who was four months pregnant, and her husband, Arthur H. Redelfs, were killed when gunmen opened fire on their sport utility vehicle after they left a birthday party. Their 7-month-old daughter was found wailing in the back of the vehicle. Jorge Alberto Salcido, the husband of a Mexican employee of the consulate, also was killed by gunmen after leaving the same event in a separate vehicle. President Barack Obama expressed outrage over the killings at the time, and Mexican President Felipe Calderon said he was indignant and promised a swift investigation. Chavez told police that gunmen opened fire on Salcido because the two cars were the same color and the hit men didn't know which one Enriquez was in, Pequeno said. TSB Note: It is preposterous to claim that the cartel gunmen fired into Salcido's car out of confusion. Multiple gunmen stopped Salcido's car before firing into it with AK-47s, so they had plenty of opportunity to see who was inside. If Chavez's story was correct, they knew they were looking for a woman, but there were no women in that car, just an adult male and three young children. Pequeno said Chavez belongs to Barrio Azteca, a gang that works for the Juarez cartel on both sides of the border. The State Department has authorized U.S. government employees at Ciudad Juarez and five other U.S. consulates in northern Mexico to send their family members out of the area because of concerns about rising drug violence. The cities are Tijuana, Nogales, Nuevo Laredo, Monterrey and Matamoros. Second Update - Thank You, New York Times. The Mexican police said Friday that they had arrested a gang leader who confessed to ordering some of the most horrifying killings in the border city of Ciudad Juárez, including the killing of a pregnant American consular employee and her husband. Jesús Ernesto Chávez Castillo, 41, confessed that he ordered the murder of Lesley A. Enriquez at the command of La Linea, the enforcement arm of the Juárez drug cartel, the federal police said. The motive, he said, was revenge, because the consulate had issued visas to members of a rival gang. Mr. Chávez’s story — that Ms. Enriquez’s killing had been ordered because she helped members of a rival gang obtain visas — contradicts both her official job description and the motive offered by another suspect. American officials have said that Ms. Enriquez worked in the office that helps United States citizens and had no authority over visas. I guess the NYT really is the newspaper of record. Here's an indicator of our current level of border security. During one week, at only five checkpoints, in only one border state, the Feds found 47 fraudulent or altered passports or visas, and another 60 persons using false identities. According to the below press release, 2,238 U.S. passports and 11,712 border crossing and legal permanent resident cards were seized in the San Diego sector in a recent six-month period. Authorities seized 107 fraudulently obtained or altered travel documents including 60 U.S. Passports during a week-long, joint operation in Southern California by the U.S. Department of State’s Diplomatic Security Service, U.S. Customs and Border Protection, and the U.S. Attorney’s Office in San Diego. From June 7 through June 13, “Operation Goalkeeper” targeted persons attempting to use stolen, lost, counterfeit, or altered travel documents to illegally cross into the United States at ports of entry along the California/Mexico border: San Ysidro, Otay Mesa, Tecate, Calexico, and Andrade. CBP officers stopped 47 individuals with counterfeit or altered passports or visas and 60 imposters, persons with a genuine document that does not belong to them. The U.S. Attorney’s Office is prosecuting 27 cases of passport fraud and eight cases of visa fraud brought by special agents of the Diplomatic Security Service (DSS) and 12 cases that CBP’s Criminal Enforcement Units, working with DSS agents, prepared for prosecution. Approximately 60 individuals using U.S. passports or visas illegally were formally deported to Mexico in lieu of criminal prosecution. The documents were seized and the violators will never be granted lawful entry into the United States. According to federal officials, the joint enforcement operation disrupted smuggling and trafficking efforts along the California-Mexico border and developed information on illegal travel document vendors, trafficking cells, and border smuggling methods and operations. The Western Hemisphere Travel Initiative (WHTI), implemented June 1, 2009, requires U.S. and Canadian citizens, age 16 and older to present a valid, acceptable travel document that denotes both identity and citizenship when entering the U.S. by land or sea. WHTI approved-travel documents include a valid passport, a U.S. passport card, a Trusted Traveler Program card, or an Enhanced Driver’s License from a participating state or province. Under WHTI, CBP is able to run automated checks against law enforcement databases more easily. CBP also can validate the travel documents against information from their issuing agency, thereby substantially increasing the ability to identify fraudulent documents and the fraudulent use of legitimate documents. CBP officials note that Tijuana and Mexicali serve as key transit points for illegal aliens seeking entry into the United States. From October 1, 2009 through April 30, 2010, CBP officers in the San Diego Field Office seized 2,238 U.S. passports and 11,712 border crossing and legal permanent resident cards that were used by aliens attempting to enter the United States illegally. "The success of this investigation and enforcement operation – more than 100 cases of documents seized – shows that the Department of State and the Diplomatic Security Service (DSS) are committed to protecting the integrity of U.S. passports and visas – the most sought after travel documents in the world,” said Garth Pettijohn, Acting Special Agent-in-Charge of the DSS Los Angeles Field Office. The agencies look forward to conducting regular joint enforcement initiatives in the future. These initiatives are important to maintain control and security at the international border. U.S. citizens or legitimate document holders will be prosecuted in cases where it has been determined they sold or made their documents available for others to use, officials said. Those convicted of passport and visa fraud face a maximum of 10 years in federal prison. Offenders also may be charged with aggravated identity theft, which carries a minimum mandatory sentence of two years to be served consecutively with the underlying offense. U.S. Customs and Border Protection is the unified border agency within the Department of Homeland Security charged with the management, control and protection of the nation’s borders at and between the official ports of entry. CBP is charged with keeping terrorists and terrorist weapons out of the country while enforcing hundreds of U.S. laws. The Bureau of Diplomatic Security is the U.S. Department of State’s law enforcement and security arm. The special agents, engineers, and security professionals of the Bureau are responsible for the security of 285 U.S. diplomatic missions around the world. In the United States, Diplomatic Security personnel protect the U.S. Secretary of State and high-ranking foreign dignitaries and officials visiting the United States, investigate passport and visa fraud, and conduct personnel security investigations. In 2008, DS participated in 2,487 arrests globally, primarily for passport and visa fraud, including 586 arrests overseas in cooperation with foreign police. Read more in the U.S. Department of State’s Visa and Passport Security Strategic Plan at: http://www.state.gov/m/ds/rls/rpt/79895.htm. Additional information about the U.S. Department of State and the Bureau of Diplomatic Security may be obtained at www.state.gov/m/ds. So long as the Russian Spy Saga is playing itself out, this is my favorite soundtrack. I just love the idea of a Reggae version of the old Soviet National Anthem. What a total contrast of images! One calls to mind a militaristic motherland of rigid ideologues in the frozen tundra, and the other, a bunch of laid-back Jamaicans playing guitars and drums between bong hits on a beach. That song was a fantastic way for a couple of Ukrainian students to tweek the Russians. Their website is here, but it's in Ukrainian only. My favorite tweeter was mentioned in the New York Times, but not favorably. When two young State Department officials took a delegation of Silicon Valley executives to Syria recently, they billed it as a chance to use the promise of technology to reach out to a country with which the United States has long had icy relations. Instead, the visit will be remembered for a series of breezy Twitter messages that the two colleagues sent home, riffing about how visitors can buy an American-style blended iced coffee at a university near Damascus and how one of them had challenged a Syrian communications minister to a cake-eating contest. The messages raised hackles on Capitol Hill, where some Republicans were already leery of the Obama administration’s efforts to engage Syria. They also embarrassed the State Department, which normally conducts its dealings with Damascus behind a veil of diplomatic politesse. Their pithy musings raised no objections until they did it from Syria, a country that has not had an American ambassador since the last one was recalled in 2005. President Obama has made cautious overtures to Damascus, appointing a new envoy, Robert S. Ford. But several senators have put a hold on his confirmation, saying that engagement is naïve. In that context, Mr. Cohen’s June 16 Twitter message, typos and all — “I’m not kidding when I say I just had the greatest frappacino ever at Kalamoun University north of Damascus” — seemed off key, officials said, as did Mr. Ross’s report about Mr. Cohen’s proposed cake-eating contest (he called it “creative diplomacy”). The messages caught the State Department’s attention after they were posted [see this] by Josh Rogin of The Cable, a blog on the Web site of Foreign Policy magazine. In the end, the trip may prove most useful as a lesson in the risks of using social media as a tool for diplomacy. The State Department assigned one of Mr. Ross’s staff members to film Web videos and send Twitter messages about Mrs. Clinton’s recent trip to China, and the department’s spokesman, Philip J. Crowley, uses Twitter daily to report on Mrs. Clinton’s activities. This is all a tempest in a coffee pot. At least @JaredCohen liked that Syrian Frappuccino. What would have happened if he had said that it sucked? Would the Syrians break diplomatic relations with us? I don't think so. And did the Syrians even know what he was talking about, since "Frappuccino" is a Fratalian word? Fratalian being the fusion of French and Italian that Starbucks created, in which the words "frappe" and "cappuccino" are combined. Anyway, with [Ambassador-appointee] Ford kept in the hatch and [Senator John] Kerry having done the trip at least two times, Hillary Clinton has dispatched two of her young men, Policy Planning Staffer Jared Cohen and Special Adviser on Innovation Alec J. Ross, to lead the enticement mission. Cohen has written a book, Children of Jihad, the basis of which is that the new defining demographic is the roughly 60% of the "Muslim world" who are under 30. According to him, youth is the liberating factor in Islam. He has told this tale excitedly on Colbert, CBS, Glenn Beck, the BBC, and MSNBC. Peretz doesn't sound like a believer in the Twitter Revolution, does he? I guess he, like Phillip Crowley, won't be sharing his lunch plans with the world.